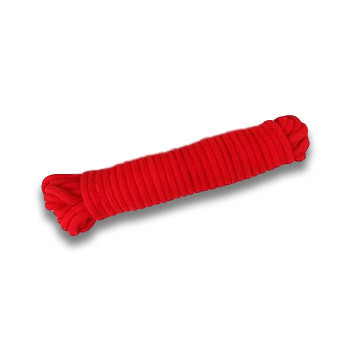 SOFT WOVEN ROPE NOW AVAILABLE IN REALLY VIBRANT RED! 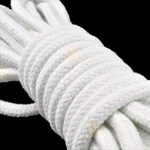 Superior quality woven cotton blend super soft rope for use in performing rope magic. The better the equipment, the better the magic looks! So soft - and it does not have a core! Get the suppleness you want! And this red is REALLY vibrant! 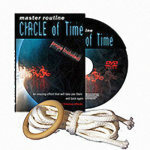 YOU WILL GET 50 FEET OF ROPE in one continuous length. Rope only. You supply the trick or routine. 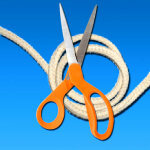 The best way to cut your rope without creating frayed ends is to first determine where you want to make the cut. Take some tape (duct tape works well, as does masking tape or even Scotch tape) and wrap the tape several times around the spot where you will make the cut. You'll want at least an inch or two of taped area at the site of the cut. Now go ahead and cut the rope by cutting where the tape is wrapped. You'll end up with your rope ends already taped and secure! Good rope will fray if you don't seal the ends. 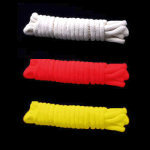 If your ends are already cut, just wrap some tape around the ends, like you see on the end of a shoelace. 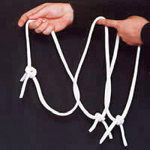 You can also dip the end into some Elmer's Glue and hang the rope until the glue dries. 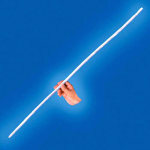 There is also a product called Tool Magic (sold online at JewelrySupply.com or FireMountainGems.com) that is a light blue rubbery substance made for adding a protective layer to jewelry making tools. 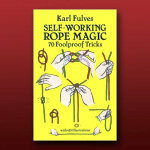 It works really well if you dip your rope ends into it, too. First make sure you have secured the ends from fraying by either taping them or gluing them. Next, fill a bowl (or your sink) with some warm (but not hot) tap water and a few drops of detergent. Put the rope into the water, and gently swish it around in the bowl. If it is very dirty, let it sit in the water for at least a half hour, then repeat the process and let it sit in the new warm soapy water for another half hour. If you have white rope and want to make it whiter, make a third bowl of water and add BLUING (sold in the laundry detergent section at supermarkets, Walmart, etc.) Bluing is what makes white clothes white. 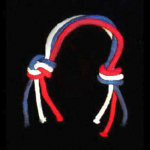 Don't add bleach- it will make the rope weak and brittle! Don't scrub the rope- it will fray the fiber. 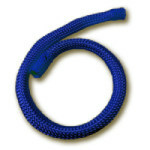 When your rope has been cleaned, rinse it well in warm running water. 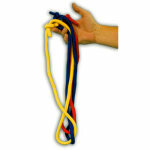 Squeeze the excess water from the rope and lay it on a clean towel to air dry. Don't put it in the dryer- it will fray the fiber.